William Reed Nevins, 85, died peacefully on Sunday, December 2, 2018 at Baystate Medical Center. Born in Springfield to the late Winfred and Ruth (Reed) Nevins, he was a proud Army Veteran of the Korean Era. 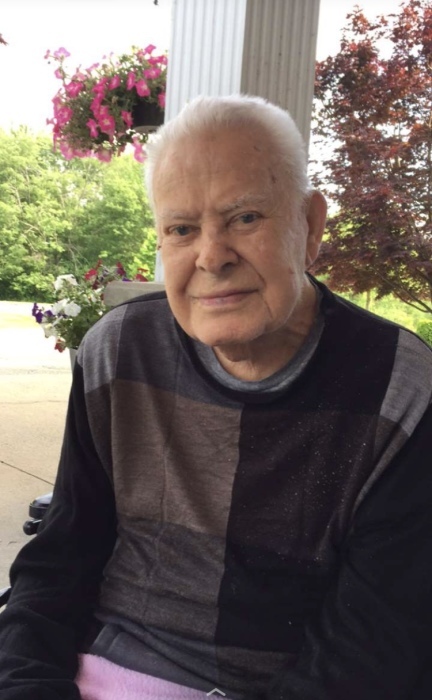 He worked as the Director of Maintenance at Thorton Burgess School in Hampden for many years and was a faithful communicant of St. Patrick’s Church in Springfield. William was predeceased by his beloved wife Josephine (Capaccio) Nevins in 2003. He will be sadly missed by his sons Mark Nevins and his fiancé Nancy Stevens of Chicopee and Paul Nevins and his wife Tracy of East Longmeadow, four grandchildren: Paul, Jr. and his wife Kristy, Meghan, Michael and Ariana and three great grandchildren: Mason, Michael and Liam. William was also predeceased by his sister Elaine Nevins. A Funeral Home Service will be held on Saturday, December 8th at 11:00 am at Wilbraham Funeral Home, 2551 Boston Rd., Wilbraham. Visitation will precede the Service at the Wilbraham Funeral Home from 9:30 – 11:00 am. Burial will follow in Prospect Hill Cemetery, Hampden.